The concept of improving once looks is as old as the day when humans originated. Over the years, from home made cosmetics and remedies to intensely researched skin care products, have been made available to mankind. The introduction of advanced surgical ,non- surgical techniques and surgical products have made many goals of beauty within reach. To offer advice and help in choosing the right procedure for your problem is Dr. Shivaram Bharathwaj's forte. Offer only scientifically researched products and well established procedures so that plastic and cosmetic surgery is practised as an art on the sound basis of science. In an effort to enhance looks and remove defects, there is an underlying willingness of patients to ignore scientific evidence to their peril. Dr. Shivaram Bharathwaj is firmly convinced that only scientifically and peer reviewed procedures should be offered to patients. Using latest available suture materials that are ten times thinner than the human hair, Utramicroscope and High resolution microscopy, Dr. Shivaram Bharathwaj with his years of experience in handling any tissue of the body offers one of the best skills of the field in India. His team has been extensively trained to handle all varieties of cosmetic and reconstructive problems. Dr. Shivaram Bharathwaj has been trained both in India and the United Kingdom under the finest plastic and reconstructive surgeons. His skills are not only in surgery, but in decision making, communication with patients and having the best interests of his patients in mind, while considering various surgical options during treatment. 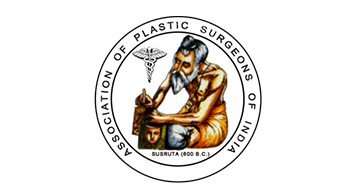 "Dr.Shivaram Bharathwaj has been one of the founders of the department of plastic surgery in Apollo Speciality Hositals, Teynampet." Dr. Antony Aravind, Consultant Plastic surgeon, Apollo hospitals, Chennai.
" Dr. Shivaram Bharathwaj has trained many plastic surgeons in the art and science of cosmetic and microvascular surgery"
Dr. Rajan, Consultant Plastic surgeon, Apollo Hospitals, Chennai.